Being deaf aware is being able to understand and recognise deafness, and knowing the right tactics to be able to communicate better with someone who is deaf or hard of hearing. With 1 in 6 people in the UK having some level of hearing loss, deaf awareness training is crucial for any group or organisation. Deaf awareness training increases employee confidence and teaches organisations and teams how to communicate better with deaf customers and service users. Improved deaf awareness and communication can increase your customer base and income, and help you to meet the demands of the Equality Act 2010 which protects against discrimination in the workplace and wider society. Not all deaf people use sign language. To communicate with someone who is deaf, make sure they can see your face fully, speak clearly, and try to speak naturally. It’s important not to shout, cover your mouth, or talk too fast or slow. If you can, it might help to write down what you want to say. How do I make my business deaf aware? Get Deaf Aware Online is a short and straightforward online course that covers the main principles of deaf awareness. It takes just 30 minutes to understand deafness and learn to communicate better. If your business has specialist needs or requirements, contact us to discuss a bespoke Get Deaf Aware training package for your team. What is the CPD Certification Service and why is Get Deaf Aware Online accredited? 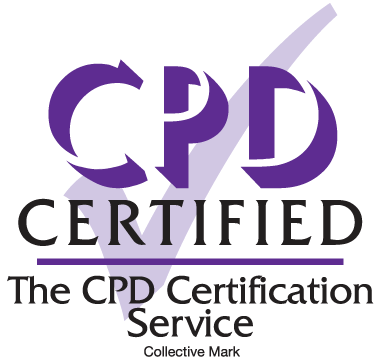 The CPD Certification Service is an assurance of quality of training materials and learning. Get Deaf Aware Online proudly exceeds the standards and benchmarks required to achieve this accreditation. Find out more about CPD here.